Many lower extremity clinicians are seeing these injured patients, and, anecdotally, the demand for therapy to manage running injuries associated with minimalist footwear appears to be increasing. Practitioners managing these patients will benefit from an understanding of the biomechanics associated with runners’ use of—and, in particular, their transition to—minimalist footwear. Anecdotally, the demand for therapeutic strategies to manage and prevent running- related injuries associated with minimalist footwear appears to be increasing. Traditionally shod runners experience different biomechanics compared with minimalist and barefoot runners.17 Several studies have reported on the relationship of stride frequency and stride length to footwear conditions.18,19 One study, which compared the running biomechanics associated with six shod/barefoot conditions in nonelite runners, found greater stride frequency and shorter stride length for minimalist or barefoot conditions than for traditional shoe wear.19 However, there are variations in these biomechanical associations that are likely due to the position of the foot and ankle when the foot first hits the ground.18 One of the major contributors to running biomechanics is how the foot strikes the ground. Researchers continue to examine the effect of impact forces on injuries, but impact forces alone are unlikely to explain running-related injury rates. It’s likely that individual anatomic variation, the ability to adapt to neuromuscular changes, and the ability of one’s tissues to withstand variable loads all contribute to injury rates. One could argue that the popularity of minimalist footwear also stems from recent media coverage, including the bestselling book, Born to Run.28-30 Unfortunately, there is no definitive evidence demonstrating that minimalist footwear has decreased injuries in runners. Patients are beginning to present to healthcare professionals with injuries while using minimalist footwear. 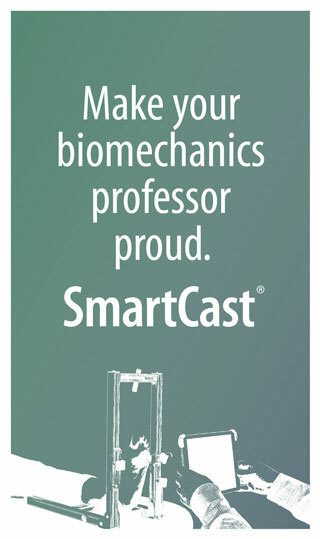 Although the incidence of injuries sustained in minimalist runners is still unknown, a 2012 study reported a range of injuries sustained while using minimalist shoe wear.10 Salzler et al analyzed 10 patients presenting to an orthopedic surgery outpatient clinic with injuries sustained while using minimalist footwear.10 Injuries included eight metatarsal stress fractures, one calcaneal stress fracture, and a plantar fascia rupture diagnosed with x-ray imaging and magnetic resonance imaging (MRI). All 10 patients were experienced runners, uninjured within the prior year, who decided to transition from traditional running shoes to minimalist footwear. It is important to note, however, that the time spent transitioning varied greatly among these patients and may have played a role in the development of their injuries. Collectively, it’s the role of physicians, physical therapists, and athletic trainers to discuss with runners the clinical implications of transitioning from traditional to minimalist footwear. Minimalist footwear provides limited plantar cushioning for impact upon foot strike compared with traditional footwear, but offers more protection against trauma than barefoot running. Even experienced runners have sustained both soft tissue and metatarsal injuries during the transition to minimalist footwear; therefore, runners should be aware that the changes in foot-strike pattern and impact forces that occur during the transition to minimalist footwear—as well as changes that may be expected but do not actually occur—may predispose them to injury. Further, the time required to transition safely is unknown, even though the majority of injuries sustained have been reported to occur early in the transition.10 Runners should be counseled that there is still no conclusive evidence that minimalist footwear will reduce injuries. If an injury does occur while transitioning to minimalist footwear, a patient should expect a decrease in the distance he or she is normally able to run. If presenting to a clinician, a patient may need imaging (eg, x-ray, MRI) to aid in the diagnosis of specific injuries. In one of the first studies to investigate injury rate and severity, as well as foot-strike patterns, impact forces, and associations among them, we prospectively studied 14 traditionally shod runners as they transitioned to minimalist footwear.16 Twelve of the 14 runners sustained injuries an average of six weeks into training. Injuries to the metatarsal head and gastrocnemius and arch pain were the most common injuries. Changes in foot-strike pattern occurred during the transition as expected. Because of their injuries, runners decreased their weekly running distance by more than five miles, compared with their pretransition mileage. Interestingly, as mentioned earlier, we found that high baseline impact transient peaks in both traditional and minimalist shoes were associated with lower injury severity scores. This suggests impact forces are not the only risk factor for injury and that our understanding of foot and ankle injuries in runners is not yet complete—it’s also possible runners were more accustomed to higher impact forces. It’s important to note that, despite instruction, none of the study participants followed the industry-provided guidelines for making the transition; it’s useful for healthcare professionals to realize that this finding could reflect the habits of many runners seen clinically, and that there is an opportunity to reinforce the importance of a gradual transition to avoid injury. Recent research has shown some runners maintain a rearfoot-strike pattern during transition to minimalist footwear and in turn sustain higher loading rates.25-27 This could explain why some runners experience injuries during the transition, especially injuries to the hindfoot, while wearing minimalist shoes. A 2016 study by Warne et al31 assessed the combination of a gait training program advocating a forefoot-strike pattern while transitioning to minimalist footwear over six weeks. Fourteen experienced male runners received a combined intervention that included gait retraining in addition to their transition to minimalist shoes. Twelve runners completed the study and were compared with a control group who underwent gait retraining but did not use minimalist footwear. Two participants in the combined group dropped out of the study due to injuries, seven others reported leg soreness, and three participants had to reduce their running. Only one participant in the control group decreased running distance due to muscle soreness. The loading rate was shown to be significantly lower compared with baseline in participants in the combined group, though loading rates were significantly higher in the minimalist footwear than in conventional footwear at baseline and after the intervention. Clinically, these findings could enhance counsel to patients about options for reducing loading rates and impact forces during a transition to minimalist footwear. The number of injuries associated with the transition is important, especially in the context of reported decreased loading rates and impact forces throughout the transition period. It may be helpful to counsel patients that even with gait retraining and reduced loading rates, one might expect an injury that could decrease running distance. 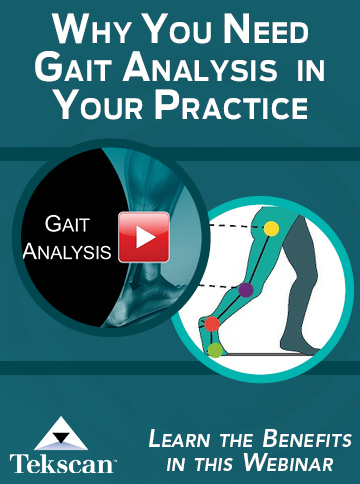 An overview article of gait pattern retraining for runners described the concept of using a wearable feedback system for aiding transition from rearfoot- to forefoot-strike pattern in a successful case study of a female runner who reported reduction of knee pain within seven weeks.32 Monitored running progression and progressive lower extremity strengthening exercises were also implemented. The authors noted key aspects to consider in designing a successful transition to minimalist shoe wear and forefoot running program, including gradual alteration of running biomechanics, consideration of anatomical traits with known vulnerability to running injury, proper guidelines for running mileage/frequency, improving lower extremity/core strength, and neuromuscular control of movement exercises. The research to date supports the need for further exploration of all components of a comprehensive transition program. The intrinsic and extrinsic musculature of the foot and ankle have been associated with injuries sustained in runners and patients with chronic plantar fasciitis.33,34 Clinically, it seems reasonable to assume that strengthening the musculature of the foot and ankle could help prevent injuries, as well as facilitate rehabilitation. A 2016 study by Chen et al35 studied the effects of minimalist footwear on the intrinsic and extrinsic foot muscle volume using MRI. Runners in the study completed a six-month transition to minimalist footwear program that included an exercise program described as a high-intensity program directed at the calf musculature. MRI studies were performed at baseline and six months, and results showed a significant increase in muscle volume in the leg and forefoot. No injuries occurred during the transition, but it is unknown if any of the asymptomatic patients had findings on imaging modalities early in the transition, as the images were only taken at six-month intervals. This study suggests that a longer transition and high-intensity exercise program directed toward the gastrocsoleus complex could help reduce the risk of injuries related to minimalist footwear. The incidence of foot injuries sustained while running remains high despite theoretically improved footwear. Runners and athletes will continue to try different commercially available products aimed at improving their level of function and preventing injuries; these include minimalist footwear. Practitioners treating and advising runners should know the risks and benefits of minimalist footwear. Information provided to runners should include education about foot-strike patterns and other risk factors, and the fact that footwear alone is likely not a panacea for reducing injury risk. Although there may be benefits to a change in footwear, there are also inherent risks in the transition to minimalist running shoes. It’s likely that changes in anatomy, physiology, and biomechanics during the transition will be unique to each runner, making generalized statements about the effects of transitioning difficult. It’s also difficult to make conclusions about minimalist footwear relative to barefoot running, or about variations of minimalist footwear, with regard to injury risk. Clinicians will likely see runners using traditional and minimalist footwear continuing to present to clinics in need of guidance and treatment. For runners interested in transitioning to minimalist footwear, it’s important to discuss the range of potential changes in foot strike and impact forces that might result, and the clinical implications these might have. While many runners will have smooth transitions, some may have injuries early in the process that negatively affect their running mileage. These injuries might include soreness, muscle strains and tears, and stress fractures. Risk factors associated with running continues to be a topic of debate. Specifically, the role of impact forces on injuries sustained during the transition will need additional study, as it’s possible impact transient forces may not contribute to injuries to the degree that was once thought. Runners searching for ways to increase foot and ankle strength could benefit from minimalist footwear, though the risks and benefits should be discussed in detail, as even the most experienced runner could experience injuries during transition. Currently, while the use of or transition to minimalist footwear may benefit many individuals, we recognize the risks of injury associated with such transitions and are unable to currently recommend for or against the use of minimalist footwear. J. Todd Walker, MD, is a resident in orthopedic surgery at the University of California, San Diego, and research fellow at the Sanford Consortium for Regenerative Medicine in San Diego. Donna Moxley Scarborough, PT, MS, is a PhD candidate at Massachusetts General Hospital Institute of Health Professions and former director of sports performance and analytics at Massachusetts General Hospital in Boston. Eric M. Berkson, MD, is an orthopedic surgeon specializing in sports medicine at Massachusetts General Hospital. Matthew J. Salzler, MD, is an orthopedic surgeon specializing in sports medicine at Tufts Medical Center in Boston. References are available at lermagazine.com. Ryan MB, Valiant GA, McDonald K, Taunton JE. The effect of three different levels of footwear stability on pain outcomes in women runners: a randomised control trial. Br J Sports Med 2011;45(9):715-721. Johnson AW, Myrer JW, Mitchell UH, et al. The effects of a transition to minimalist shoe running on intrinsic foot muscle size. Int J Sports Med 2016;37(2):154-158. Altman AR, Davis IS. Barefoot running: biomechanics and implications for running injuries. Curr Sports Med Rep 2012;11(5):244-250. Roth J, Neumann J, Tao M. Orthopaedic perspective on barefoot and minimalist running. J Am Acad Orthop Surg 2016;24(3):180-187. Salzler MJ, Bluman EM, Noonan S, et al. Injuries observed in minimalist runners. Foot Ankle Int 2012;33(4):262-266. Cauthon DJ, Langer P, Coniglione TC. Minimalist shoe injuries: three case reports. Foot 2013;23(2-3):100-103. Giuliani J, Masini B, Alitz C, Owens BD. Barefoot-simulating footwear associated with metatarsal stress injury in 2 runners. Orthopedics 2011;34(7):e320-e323. Abel D. “You’re crazy.” Boston.com. http://archive.boston.com/lifestyle/health/articles/2011/01/09/youre_crazy/. Published January 9, 2011. Accessed June 6, 2017. Ridge ST, Johnson AW, Mitchell UH, et al. Foot bone marrow edema after a 10-wk transition to minimalist running shoes. Med Sci Sports Exerc 2013;45(7):1363-1368. 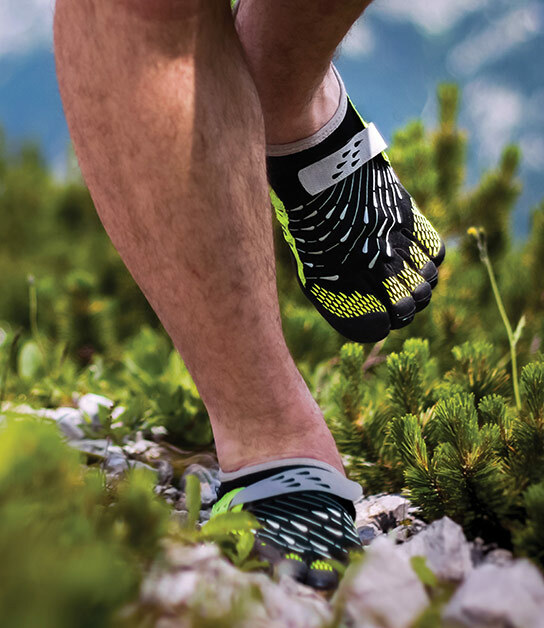 Thomas E. Vibram, ‘barefoot running shoe company,’ settles multi-million dollar lawsuit. Huffington Post website. 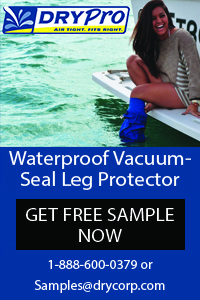 http://www.huffingtonpost.com/2014/05/10/_n_5302213.html. Published May 10, 2014. Accessed June 6, 2017. Salzler MJ, Kirwan HJ, Scarborough DM, et al. Injuries observed in a prospective transition from traditional to minimalist footwear: correlation of high impact transient forces and lower injury severity. Physician Sportsmed 2016;44(4):373-379. Bonacci J, Saunders PU, Hicks A, et al. Running in a minimalist and lightweight shoe is not the same as running barefoot: a biomechanical study. Br J Sports Med 2013;47(6):387-392. Leiberman DE. What we can learn about running from barefoot running: an evolutionary medical perspective. Exerc Sci Rev 2012;40(2):63-72. Divert C, Mornieux G, Freychat P, et al. Barefoot-shod running differences: shoe or mass effect. Int J Sports Med 2008;29(6):512-518. Larson P, Higgins E, Kaminski J, et al. Foot strike patterns of recreational and sub-elite runners in a long-distance road race. J Sports Sci 2011;29(15):1665-1673. Zadpoor AA, Nikooyan AA. The relationship between lower-extremity stress fractures and the ground reaction force: a systematic review. Clin Biomech 2011;26(1):23-28. Knapik JJ, Trone DW, Swedler DI, et al. Injury reduction effectiveness of assigning running shoes based on plantar shape in Marine Corps basic training. Am J Sports Med 2010;38(9):1759-1767. Goss DL, Lewek M, Yu B, et al. Lower extremity biomechanics and self-reported foot-strike patterns among runners in traditional and minimalist shoes. J Athl Train 2015;50(6):603-611. Cheung RT, Rainbow MJ. Landing pattern and vertical loading rates during first attempt of barefoot running in habitual shod runners. Hum Mov Sci 2014;34:120-127. Willson JD, Bjorhus JS, Williams DS 3rd, et al. Short-term changes in running mechanics and foot strike pattern after introduction to minimalistic footwear. PM R 2014;6(1):34-43. McDougall C. Born to Run: A Hidden Tribe, Superathletes, and the Greatest Race the World Has Never Seen. New York NY: Alfred A. Knopf; 2009. Metzler B. The 8 essentials of barefoot running. Outside Online. https://www.outsideonline.com/1871911/8-essentials-barefoot-running. Published January 19, 2011. Accessed June 6, 1966. Parks B. Is less more? Runners World website. http://www.runnersworld.com/minimalist-shoes/should-i-run-barefoot. Published October 11, 2010. Accessed June 6, 1966. Warne JP, Smyth BP, Fagan JO, et al. Kinetic changes during a six-week minimal footwear and gait-retraining intervention in runners. J Sports Sci 2016;35(15):1538-1546. Davis IS, Futrell E. Gait retraining: altering the fingerprint of gait. Phys Med Rehabil Clin N Am 2016;27(1):339-355. Cheung RT, Sze LK, Mok NW, Ng GY. Intrinsic foot muscle volume in experienced runners with and without chronic plantar fasciitis. J Sci Med Sport 2016;19(9):713-715. Chang R, Kent-Braun JA, Hamill J. Use of MRI for volume estimation of tibialis posterior and plantar intrinsic foot muscles in healthy and chronic plantar fasciitis limbs. Clin Biomech 2012;27(5):500-505. Chen TL, Sze LK, Davis IS, Cheung RT. Effects of training in minimalist shoes on the intrinsic and extrinsic foot muscle volume. Clin Biomech 2016;36:8-13.